The California Wildfires have caused destruction and loss for many. Our brave firefighters have worked around the clock to save people’s homes and prevent the fires from spreading any more than they already have. But while one firefighter was busy saving a neighbor’s home, his own house was burning to the ground as he watched. Michael Williams, a firefighter living in Oak Park, California, lost his home in the Woolsey fire. 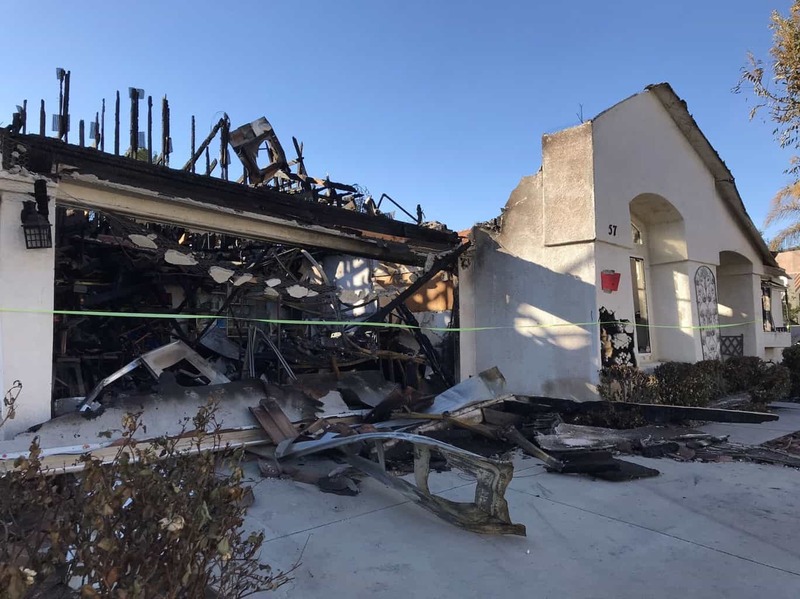 Initially, he and his wife, Lisa, decided to remain in their home as the fires weren’t anticipated to pass through their area. However, before they knew it, a neighbor’s palm tree had caught fire and then so did their garden fence. I was talking to the local fire station, friends of mine, and so I was in constant communication with them. I knew it was pretty safe, where the location of our houses were, I wasn’t worried about our house burning down. Michael and Lisa’s house after the wildfire swept through their neighborhood. Grabbing their four dogs, they ran out to their van and managed to drive away. But not before, one of their poor dogs had their fur burnt by the falling embers. Lisa wondered if they would even make it out of the fires alive. She called her mother to ask her to take care of their son if they should perish. Thankfully, Michael and Lisa made it out safely. But on their way driving out of their neighborhood, Michael noticed a fire team working to put out a neighbor’s house. Jumping out of the van, Michael Williams joined the team to help fight the fire. He claims that if this house went down then so would the rest of the neighborhood. Michael wanted to ensure that the rest of his neighbors would be safe. 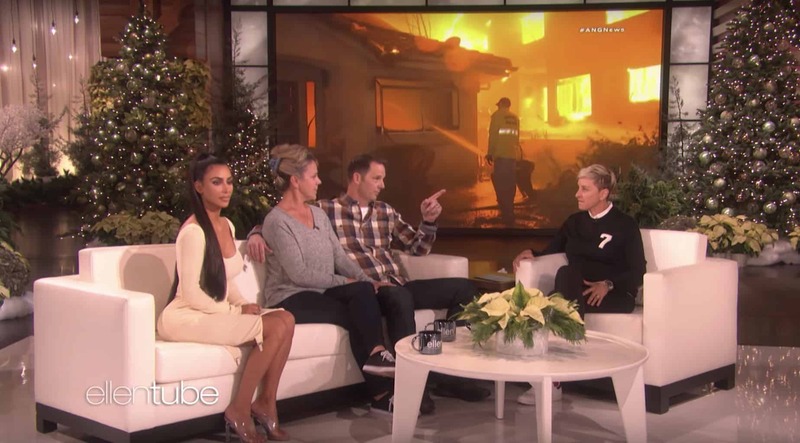 While Michael downplays his heroic act, Ellen Degeneres and Kim Kardashian West heard his story and wanted to do something to help. Bringing him and his wife onto The Ellen Show, they had a huge surprise in store. Watch the video below to hear Michael Williams’ story firsthand. It is truly emotional and it is wonderful to see one of our brave firefighters being rewarded for his sacrifice and bravery.